On August 25, 2018, the NFPA submitted the following statement to the Department of Interior during the comment period on their proposed changes to Endangered Species Act rule-making. On behalf of the Board of Directors for the North Fork Preservation Association, we stand for a strong Endangered Species Act. We believe that it is important to keep the “blanket 4(d) rule” in place, that automatically grants all species listed as Threatened protection from harm, harassment, injury and death. If the current proposal moves forward, already vulnerable species would only be protected if and when your agency decides to undertake a specific rulemaking process. Not only would this increase the rulemaking workload for your agency, but Threatened species would be left waiting for protection that may never happen. We believe that a strong Endangered Species Act is in the best interest of humans and wildlife. While some exploitative industries would benefit from this change because they could continue to disregard threatened species, this change is not in the interest of the rest of us. The Endangered Species Act is one of the most cherished pieces of legislation in our country’s history and should not be weakened. Please keep this vital rule to protect our Threatened species in place. Rob Davies, the Hungry Horse/Glacier View district ranger, is asking for public feedback on a small, low-impact project in the Big Creek drainage to improve conditions for Bull Trout. If possible, they’d really like to get this accomplished in April, before the stream flows really get going. This means they are looking for public comments by March 30. Here’s what Rob had to say in his email (lightly edited), followed by the full text of the project letter . . .
We will be issuing a NEPA decision for a small simple project that was presented at the Inter-local Meeting last February. 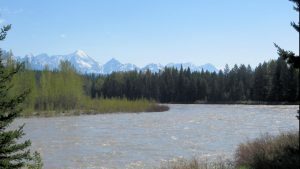 Essentially the State and the Forest Service wants to breach a log jam, and several small beaver dams where migrating bull trout were blocked from upstream movement to their normal spawning area (last fall). The work would be accomplished using a Spider Backhoe…… if you never have seen this type of heavy equipment it is really interesting…….. it’s essentially a small excavator but instead of using steel tracks, it moves on 4 robotic-like legs so that soil and vegetation disturbance is very minimal. We would like to complete this work before peak runoff occurs this spring so natural flows will help scour and maintain the channel. Normally bull trout projects never remove or disturb large wood in streams but in this case, the Flathead bull trout populations are so depressed from other Flathead Lake issues…… doing all that we can to assure spawning success is important. Please provide comments, by email, in writing, or by phone no later than March 30th, 2016. As befits a document that will have quite an impact on this little corner of Montana, the proposed Flathead National Forest Plan revision is big — some 499 pages of text and figures. The grizzly bear amendment, describing how the forest will coordinate grizzly bear management with other agencies and jurisdictions across the entire Northern Continental Divide Ecosystem (NCDE), adds another 64 pages to the pile. 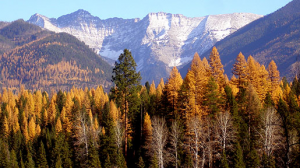 Flathead National Forest proposed Forest Plan revision web page – This is the go-to page for anything regarding the Forest Plan. It has links to download the full set of documentation, as well as a schedule of informational meetings and information on how to submit comments. Grizzly bear management amendment page – Go here to download the document and for an overview of the grizzly bear amendment. Dr. John Weaver of the Wildlife Conservation Society, long an advocate for targeted landscape preservation to boost species survival, has issued a new report, specifically addressing the area encompassed by the Flathead National Forest. Here’s the press release. We also offer a link to the full report . . .
BOZEMAN (June 23, 2014) A new report from the Wildlife Conservation Society (WCS) calls for completing the legacy of Wilderness lands on the Flathead National Forest in Montana. 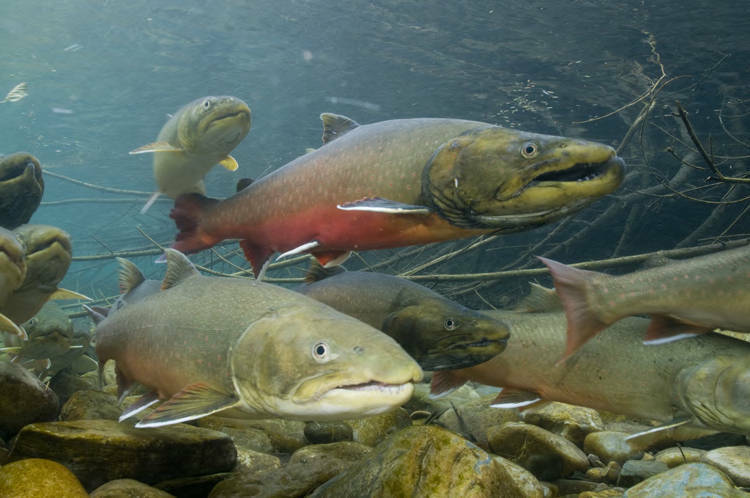 The report identifies important, secure habitats and landscape connections for five species—bull trout, westslope cutthroat trout, grizzly bears, wolverines, and mountain goats. These iconic species are vulnerable to loss of secure habitat from industrial land uses and/or climate change. Located in northwest Montana adjacent to Glacier National Park, the 2.4 million-acre Flathead Forest is a strategic part of the stunning and ecologically diverse Crown of the Continent Ecosystem. From the 1930’s to the present, generations of citizens and government leaders have worked to protect this special area through designations of wilderness, wild and scenic rivers, and protection of critical wildlife habitat. In his report, “Conservation Legacy on a Flagship Forest: Wildlife and Wild Lands on the Flathead National Forest, Montana,” WCS Senior Scientist Dr. John Weaver notes that these protections may not be enough in the face of looming challenges such as climate change. For example, warmer winters will reduce mountain snow cover and suitable habitat for the rare wolverine – a species highly adapted to persistent snow pack. Reduced stream flow and warmer stream temperatures will diminish habitat for native westslope cutthroat trout and bull trout that are well adapted to cold waters – while favoring introduced rainbow trout and brook trout. Weaver found that the Flathead is a stronghold for these fish and wildlife species that have been vanquished in much of their range further south. His analysis shows that 90 percent of the Flathead has a “very high” or “high” conservation value for at least one of the five focal species. In his recommendations, Weaver employs a “smart strategy for resiliency” that protects and connects large landscapes that have high topographic and ecological diversity. Such a strategy will provide a range of options for animal movements as conditions change. Importantly, remaining roadless areas account for nearly 25 percent of the best habitats for these species. In particular, these higher-elevation areas will provide key options for such vulnerable species in a warmer future. In total, Weaver recommends 404,208 acres of roadless area on the Flathead Forest for Congressional designation as National Wilderness, and another 130,705 areas be conserved in roadless condition as legislated “Backcountry Conservation.” Vital places with particular concentration of present and future habitat include the Whitefish Range adjacent to Glacier National Park and the Swan Range east of Flathead Lake. 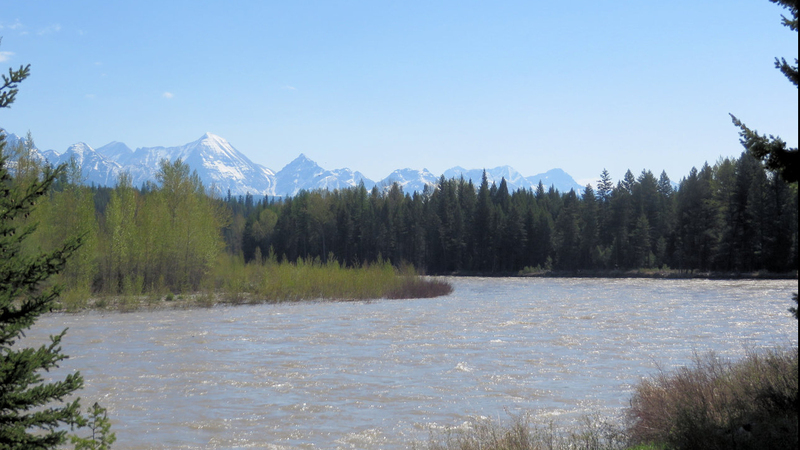 Full report: Conservation Legacy on a Flagship Forest: Wildlife and Wildlands on the Flathead National Forest, Montana (PDF format, 8.9MB). the North Fork-specific pages from the zoning regulations. These materials were retrieved from the Flathead County Planning and Zoning “Documents Online” page. All are PDF documents. We’ve updated the web site Archives section with the final Whitefish Range Partnership Agreement documents. Included are the full, 57-page final agreement, as well as a handy two-page overview, consisting of a map and a summary of the agreement itself. For those of you interested in the Whitefish Range Partnership Agreement, but who don’t wish to wade through an entire ring binders’ worth of material, a two page summary of the agreement is now available to view or download in PDF format. For those of you who like to dig into source materials, the U.S. Fish and Wildlife Service maintains a web site with news, information and recovery status reports on gray wolves on the Northern Rockies. You’ll find it here: http://westerngraywolf.fws.gov. The agency’s “Office of External Affairs” also maintains a page with links to wolf-related press releases, public notices, hearing transcripts, articles and studies at http://www.fws.gov/home/wolfrecovery/.